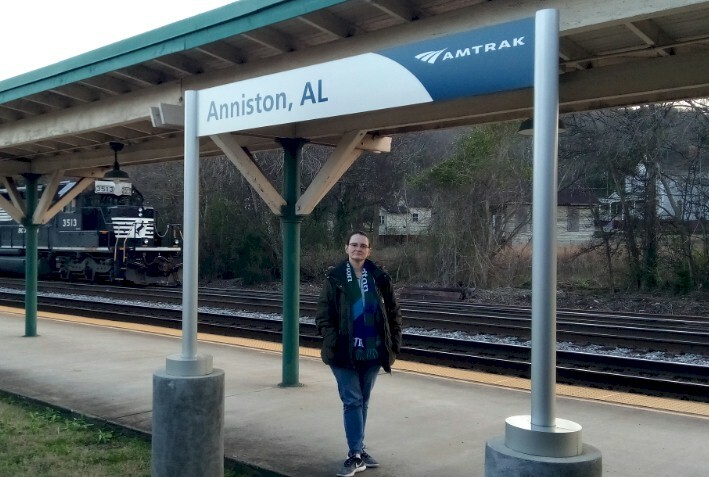 Did you know that you can easily visit two of our country’s newest National Park Service units by riding Amtrak’s Crescent train through Alabama? Before leaving office in 2017, then-President Barack Obama designated two sites in Northern Alabama as brand new national monuments, including the Freedom Riders National Monument in Anniston and the Birmingham Civil Rights National Monument in Downtown Birmingham. Besides being important sites that share the story of the American Civil Rights Movement of the 1960’s, these parks also have something else in common. They are both located in cities that are passenger stops on the Crescent – a popular passenger train line connecting New Orleans, Atlanta, Washington, D.C., and New York City. Why drive if you don’t have to? The train makes visiting these parks easy, because both sites are with-in walking distance of the depots for most folks. 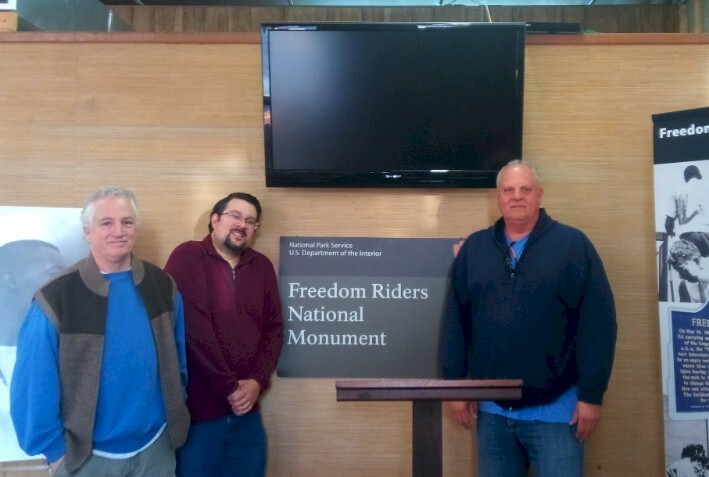 This TrainWeb article will focus on our visit to the Freedom Riders National Monument in Anniston. Our next TrainWeb article (set for release in late April or early May 2019) will focus on the Birmingham Civil Rights National Monument in Birmingham. First, it is important to know a little bit of background on the site. In 1961, a small interracial band of “Freedom Riders” challenged discriminatory laws requiring separation of the races in interstate travel. They were attacked by white segregationists, who firebombed the bus. Images of the attack appeared in hundreds of newspapers, shocking the American public and spurring the Federal Government to issue regulations banning segregation in interstate travel. Through the media the nation and the world witnessed the violence. Images, like that of a firebombed bus burning outside Anniston, shocked the American public and created political pressure, which forced the Federal Government to take steps to ban segregation in interstate bus travel. Although only thirteen Freedom Riders started the journey, they inspired hundreds of others to join their cause. In the end, there were over four hundred Freedom Riders. They succeeded in pressing the federal government to act. On May 29, 1961, Attorney General Kennedy petitioned the Interstate Commerce Commission to issue regulations banning segregation, and the ICC subsequently decreed that by November 1, 1961, bus carriers and terminals serving interstate travel had to be integrated. The Freedom Rides and Freedom Riders made substantial gains in the fight for equal access to public accommodations. 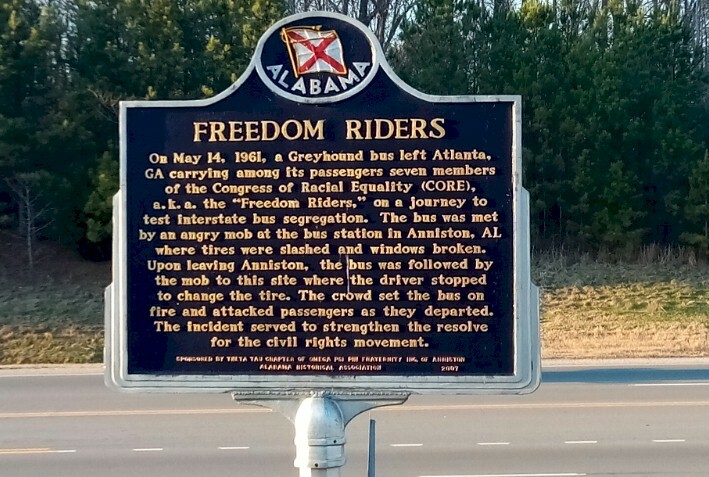 Federal orders to remove Jim Crow signs on interstate facilities did not change social mores or political institutions overnight, but the Freedom Riders nonetheless struck a powerful blow to racial segregation. 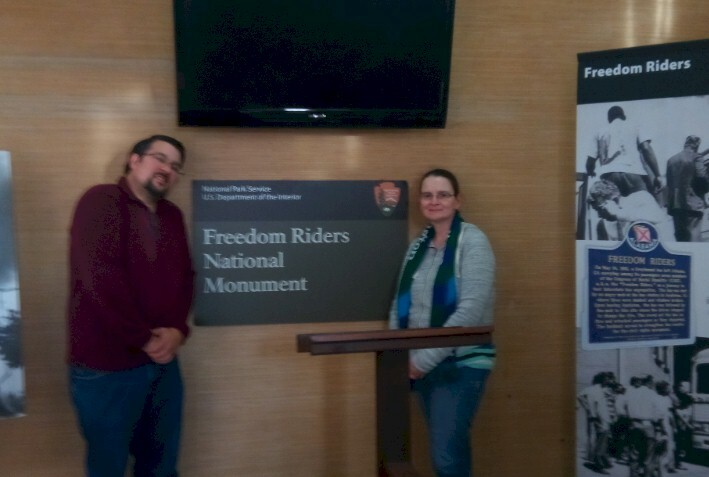 We got to tour the Freedom Riders National Monument during the last weekend of January 2019. Our hosts included Toby Bennington, Anniston’s Planning and Development Services Director; he also represents Alabama on the Southern High-Speed Rail Commission. We were also joined by Pete Conroy, co-chair of the Freedom Riders Park Committee and the Director of Jacksonville State University’s Environmental Policy and Information Center. Pete may be the best known for his interest in public lands, including the designation of the nearby Little River Canyon National Preserve as a National Park Service unit in 1992. 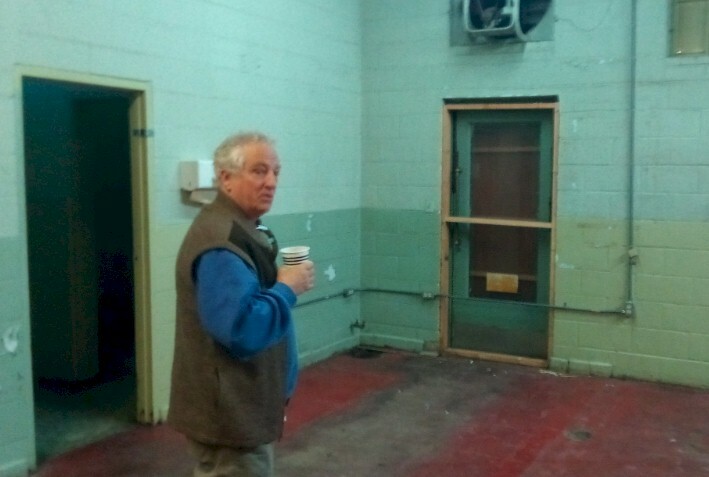 Pete points out the original door located toward the rear of the former Greyhound Station; this would have been used by "Freedom Riders"
Our visit began at the former Greyhound bus depot (at 1031 Gurnee Avenue in Anniston). 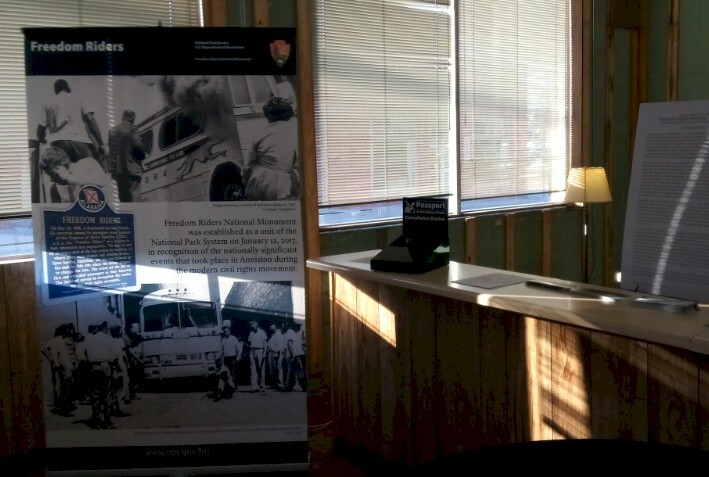 As it turns out, we were the very first public visitors to the Freedom Riders National Monument in 2019; that is because the park had been closed for about six weeks (in late 2018 and early 2019) during the extended federal government shutdown. 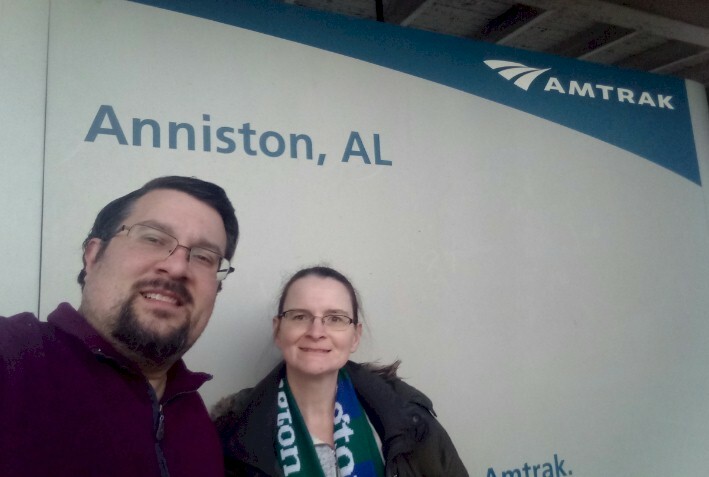 For a long time, it looked like our visit and this article were not even going to be possible… but the stalemate in Washington broke just 24 hours before our arrival in Anniston… and we were given the ‘green light’ to proceed with our visit. We would like to thank Acting Park Superintendent Reginald Peoples for his assistance with this article, too. He was not able to be present due to re-opening duties at the NPS Regional Office in Atlanta. 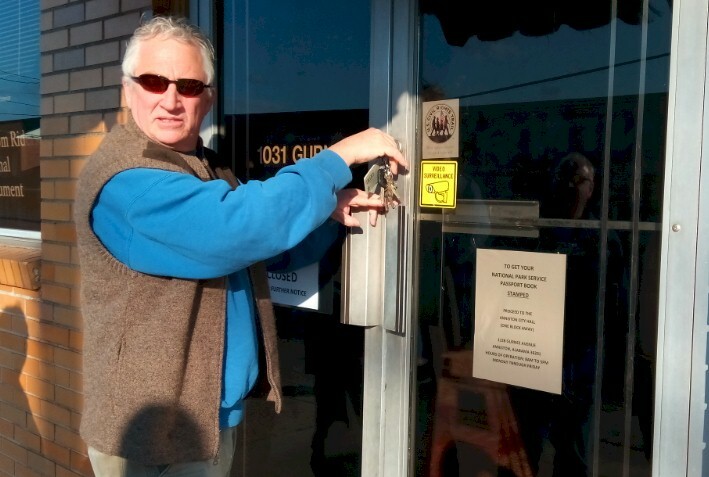 Upon entry to the old Greyhound Station, Pete and Toby removed signs from the front door indicating the park would be closed pending the end of the shutdown. 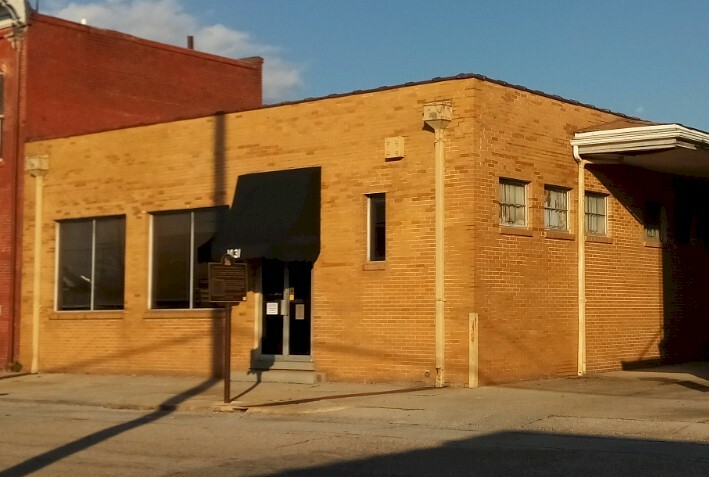 Today the wall of the building adjacent to the former depot features a mural and educational panels describing the incident; a similar mural has been installed adjacent to the former Trailways station where the other Freedom Riders arrived in 1961 The former Greyhound station was a sign shop… then later owned by the City of Anniston, prior to its donation to the United States government. 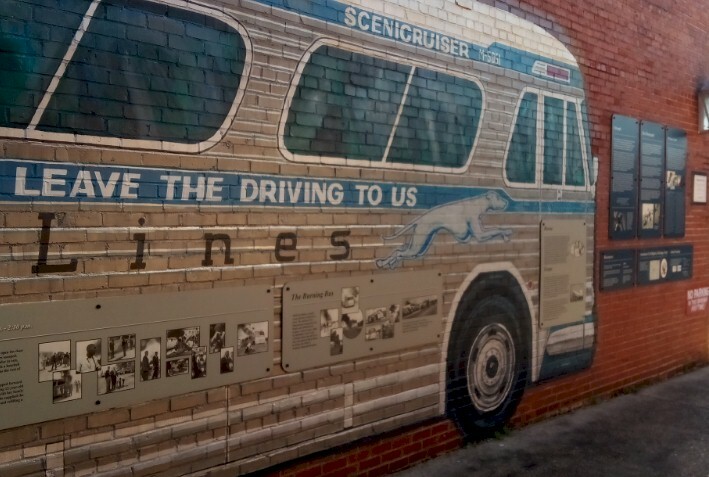 A mural outside of the former Anniston Greyhound Station has informative panels about the "Freedom Riders"
This location will be the National Park Service Visitor Center for Freedom Riders National Monument in the years ahead. After sitting down for some coffee in the old Greyhound Depot, both Toby and Pete explained that the designation of the national monument followed years of hard work… on both of their parts and that of many of their fellow colleagues. The process rolled into high gear after a visit by Interior Secretary Sally Jewell and National Park Service Director Jonathan Jarvis in October 2016. 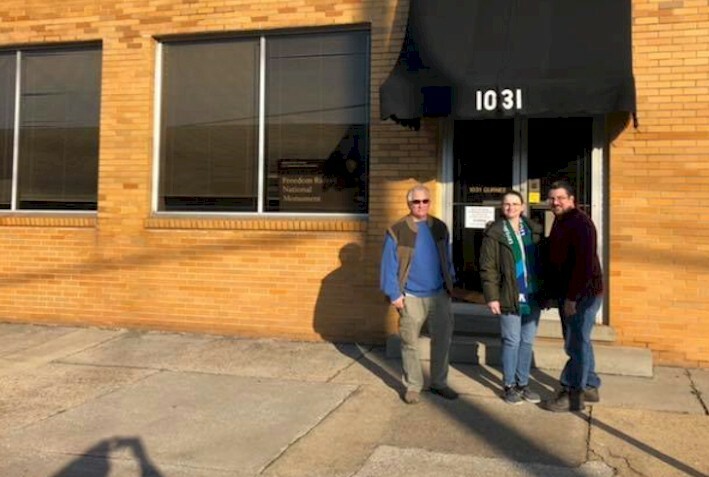 The designation of the National Monument was hailed by local leaders in Anniston and Calhoun County, who had actively campaigned for the monument's creation. Others who supported its establishment included Senator Richard Shelby Representative Mike Rogers, who had introduced a bill to designate Freedom Riders National Historical Park in July 2016 and governor Robert J. Bentley. A dedication ceremony took place on May 13, 2017, in downtown Anniston, on the day before the 56th anniversary of the incident; some members of the audience had traveled from as far away as Denmark. Former Freedom Rider Hank Thomas, the last living survivor of the bus-burning incident, delivered a speech. Towards the end of our time at the former Greyhound Station, Toby and Pete played an audio recording for us of Thomas’ account of what it was like to be on a bus that was set on fire. All we can say is that we have been to 403 of the 419 National Park Service sites --- and only have been drawn to tears twice. 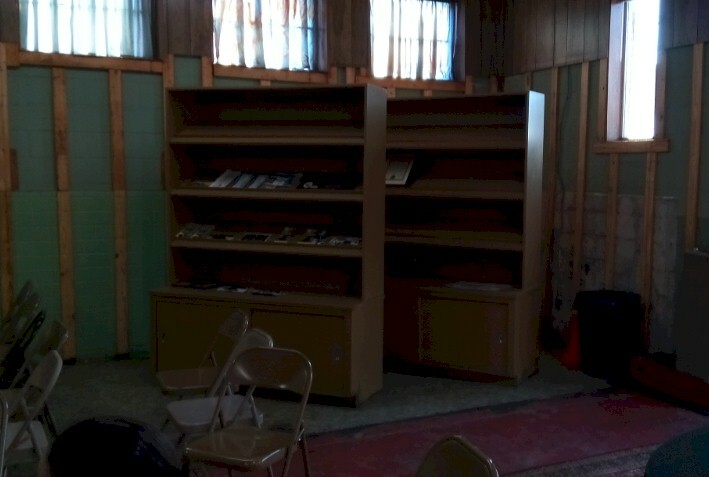 One was at the Flight 93 National Memorial in Pennsylvania… and the second one occurred here at the Freedom Riders National Memorial listening to the audio recording of what Thomas had to say. 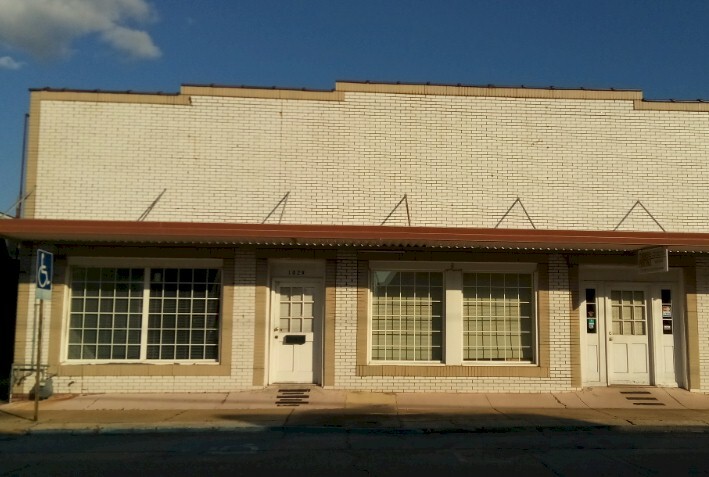 It should be noted that the Greyhound Station is in need of much repair… and was only opened to us for the purposes of writing this article. It may be several years before it is fully renovated and opened to the public on a regular basis. 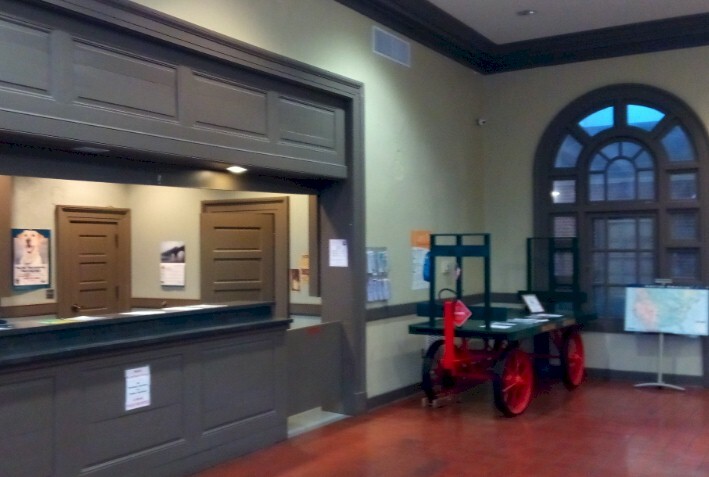 An interim visitors' center, including a station where visitors may procure a National Parks passport stamp, has been established in the reception area of Anniston City Hall. You should plan your visit on a weekday, as the City Hall is not open on Saturdays or Sundays. 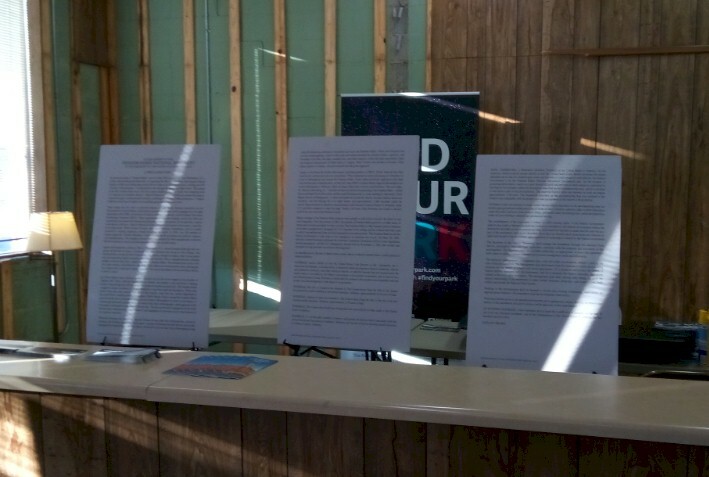 Of course, you can view the exterior of the former Greyhound Station anytime you want – and there are information panels and signs. After about an hour, we parted ways with Pete and Toby took us to the second site incorporated into the new national monument --- that of the bus burning, located outside of Anniston along Old Birmingham Highway/State Route 202 some six miles away. 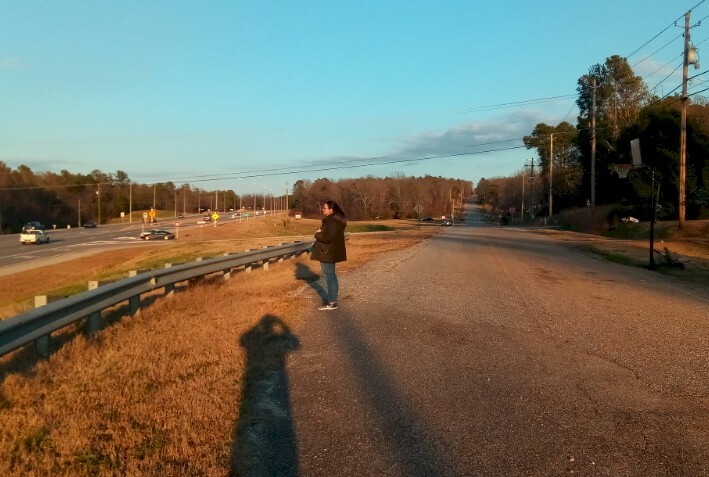 It was at this spot that the bus broke down because of its flat tires. The segregationist mob, which had followed it from the bus depot, continued its assault, throwing "a bundle of flaming rags into the bus that exploded seconds later" which set the vehicle ablaze. The mob attacked the passengers as they tried to flee. Freelance photographer Joseph "Little Joe" Postiglione photographed the bus as it burned; the resulting image has become an icon of the civil rights movement An Alabama Historical Marker, erected in 2007 under the auspices of the Theta Tau Chapter of Omega Psi Phi Fraternity. marks the site of the bus burning. 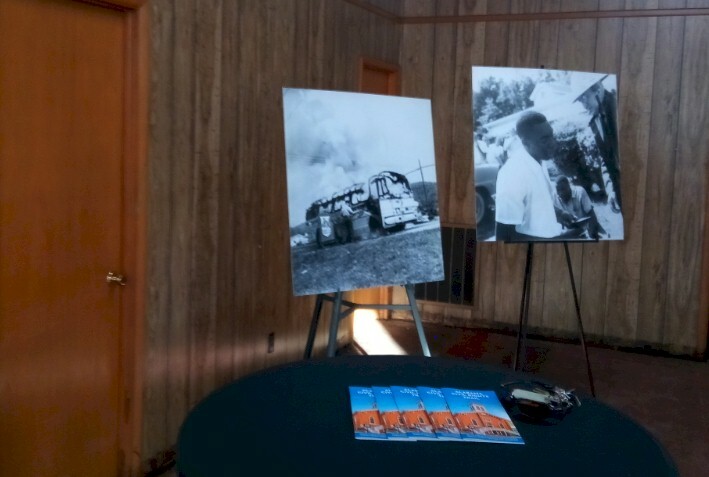 The second part of the Freedom Riders National Monument is the "bus burning site" located about six miles west of Anniston. It was announced in 2010 that five acres of land surrounding the site of the bus burning had been donated to Calhoun County for the development of a memorial park; initial plans called for a landscaped walkway, with interpretive plaques to be erected at the site. Possible future features include a statue of Thomas being given water by nearby resident Janie Forsythe. Since designation of the national monument, the National Park Service, Calhoun County, and the Freedom Riders Memorial Committee have begun working together to develop a plan for interpreting the site; Alabama Power provided money for the effort in 2015. A sign denoting the future presence of the park was erected in 2012. 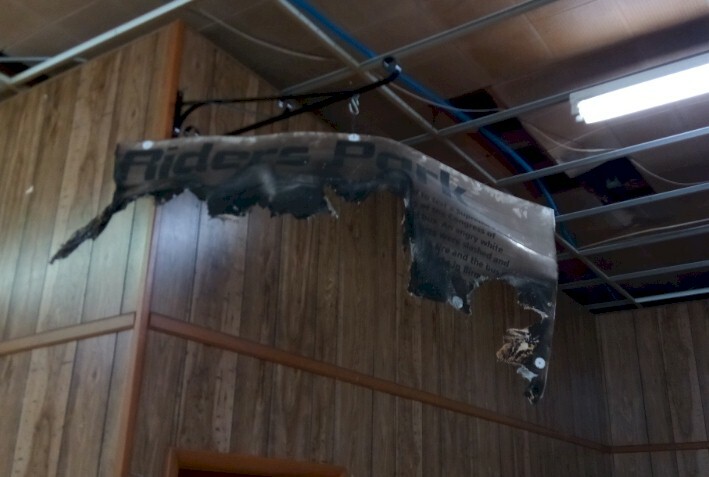 Soon after it was placed at the site it was vandalized, but repairs were quickly made. 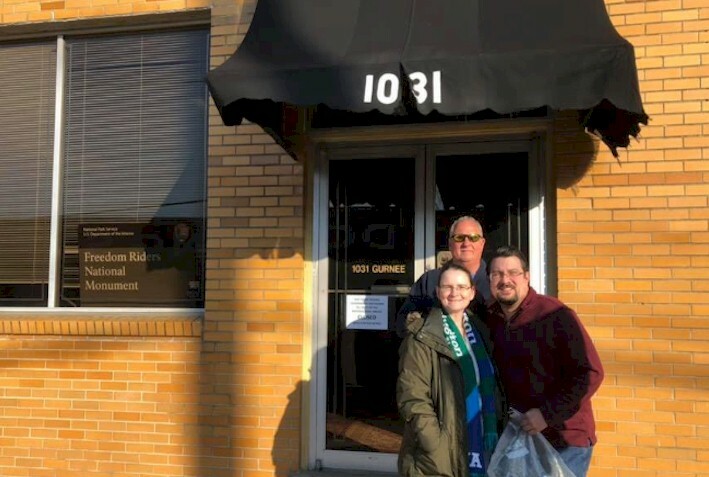 The Midwest Rail Rangers is an independent non-profit 501(c)(3) organization which presents on-board educational programs on the South Shore Line and on private rail excursions across the Upper Midwest. Check out our website for more information on how you can be part of our growing organization. 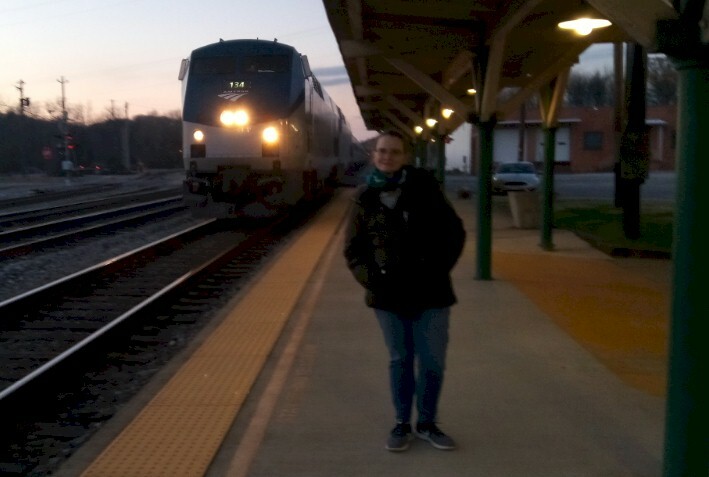 We hope you will enjoy reading our articles about all of the interesting places you can take the train to -- especially America's National Parks and many other off-the-beaten path locations.